Fanvil Technology is a Leading Brand in VoIP Phones, Hotel IP Phones, Call Center Phones and SIP Door Phones.The Fanvil Range of Product includes the right VoIP Product for your Business.Fanvil IP Phones Transform your business communication with business grade high-definition Audio and highly reliable Hardware. As a Fanvil Distributor in Cyprus, we carry all the Fanvil Products in our stocks.Call us today and we can assist you to choose the right Fanvil product best suits your business. You will be pleased with the quality and cost-effectiveness offered by Fanvil IP Phones.Fanvil products are well suited for small and medium-sized businesses, as well as large mission-critical enterprise environments.Fanvil using world-leading class chipset in their VoIP products coupled with the strong engineering team. Fanvil Phones are designed to fulfill the needs of a range of users who can have different communications styles. When it comes to Business IP Phones today’s business environment encompasses a range of employee communication styles and workspaces. 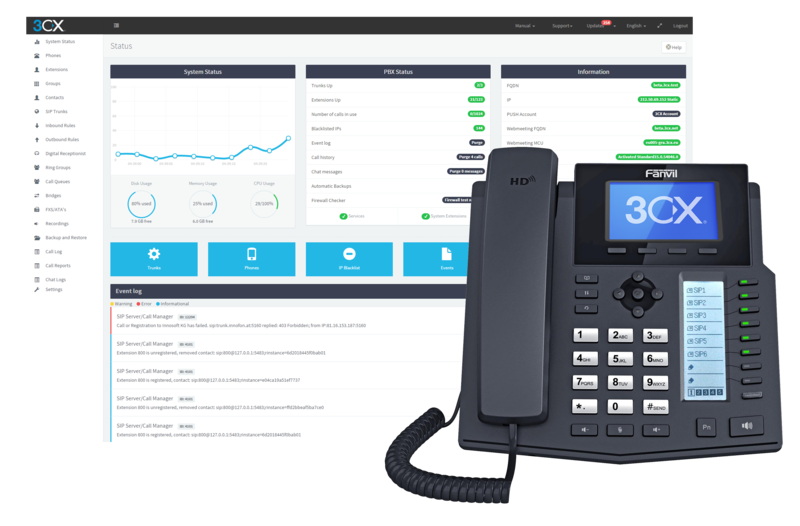 The Fanvil portfolio includes user-friendly, full-featured IP phones to meet the needs of your entire organization.All the Fanvil Products are SIP Protocol Supported. These phones are best suited for any modern IP Telephone System. Fanvil Business Phones delivers affordable, high-fidelity and secure Session Initiation Protocol (SIP)-based VoIP communications. These VoIP Phones help your business to make your employees more productive in their day-to-day interactions and advance your business goals. Fanvil IP Phones deliver the best audio experience with state-of-art technology enhancements to both speaker and microphone.The Fanvil X3 Series is an ideal cost-effective solution for small-to-large companies. If you have older analog and digital telephony desk phones today and wish to migrate to IP Communications, then the Fanvil X3 Series could be your phones of choice in terms of cost-effectiveness and Quality.The Cost-effectiveness making them a very flexible investment choice. The Fanvil IP Phone Series enables you to easily and securely connect to the network while the employees are remote.Fanvil Phones enable you to connect remote workers without the need for dedicated VPN hardware or a VPN client.These phones are supported with inbuilt VPN for an added layer of security. it’s easier for your remote workers to get up and running quickly while reducing your IT administration costs. Fanvil Phone models range in their support, from a single line model for users with light voice communications needs to a 6-line model for highly active users of VoIP communications. The Fanvil X4/X5/X6 Desk Phones are Executive and busy reception phones with a high level of user-friendliness.